Driving through the Amish community near Kalona, Iowa, I saw quite a few bald eagles. Some sailed straight-winged over the brown, sodden fields, where the snow just melted yesterday. 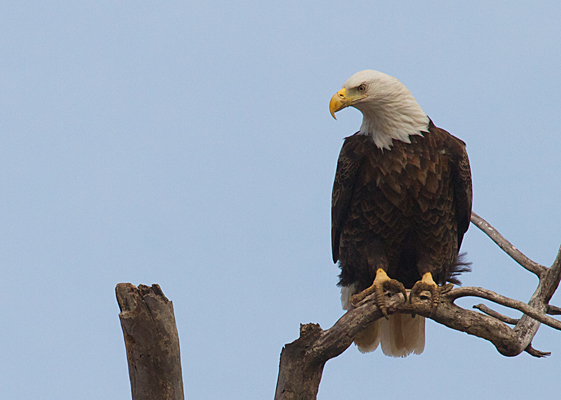 In a dead tree above a farmhouse, this adult kept an eagle eye on the countryside.